Weddings are events where you want to look your best. Let Matthew Mason Clothing be there for your big day. Instead of getting your groomsmen a flask or shot glass, spend your money more wisely and get them a tailored suit or tux (whether you purchase the whole tux or split it with them). 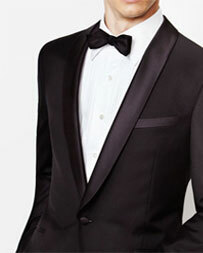 A tailored suit or tux is something your groomsmen can have for a lifetime at a price comparable to tuxedo rental fees. Turn your fittings into a groomsmen party! Grab your buddies and some beer, and Chris will come to your house and fit you and your groomsmen. You will be able to have a more personal and laid back experience while picking out your clothes for your big day with your own personal haberdasher at your house! Purchase tailored suits or tuxes for your groomsmen and receive free matching ties!